For today’s AW15 edit, we’re looking at a gorgeous selection of suede skirts. From camel to black and luscious berry tones, this beautiful texture will add a luxe edge to your autumn/winter wardrobe. Swinging in amidst the 70’s trend, these skirts would look gorgeous paired with simple basics like a black polo neck or knitted jumper. We love the idea of layering with luxurious faux fur and they look fabulous with this season’s hugely popular over the knee boots. They’ll stand the test of time too and see you right through to next summer – perfect with a light tee and bare legs. 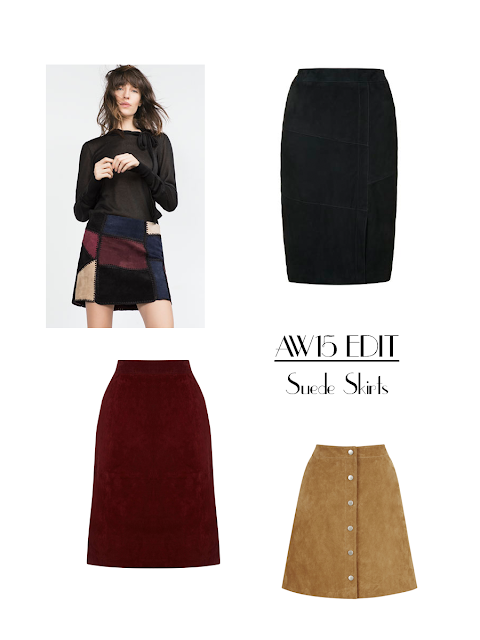 Have you fallen for suede too? Let us know in the comments below!